From time to time at MProfit we come across some really guide articles that we feel will benefit our users. 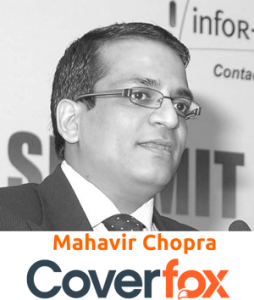 Below is an article from Mahavir Chopra of Coverfox talking about buying health insurance for parents. The eBook they provide is very useful and highly informative. Culturally, India is a very unique country, especially how we operate as families and take care of each other. When we are young, our parents meticulously take care of all our needs for years together till they are absolutely convinced that we are financially independent. The role reverses when our parents turn old and they willingly or unwillingly start depending on us. As they turn old we see small health complaints cropping up, they start getting feeble. Worst-case scenarios start randomly crossing our minds– like a major surgery or hospitalization. No wonder whenever the topic of Health Insurance for parents gets raised in a group of friends, a strong emotion erupts that results in dead pan silence or an animated conversation around the problems of getting the coverage, high premiums, or worse, being able to make claims around diseases the parents are already suffering from. This dichotomy has always made me think hard. I knew deep down that health insurance was not as bad and is accessible to 80% of the parents, but almost 50% of us give up for one reason or the other. I therefore decided to write a short eBook which is an attempt at resolving the doubts, questions and road blocks that exist in the minds of the average 30 year old Indian looking at covering his parents under a health insurance plan. Uncovering myths around Parents’ Health Insurance. How to get health insurance for parents with medical conditions. Comparison of leading Parents’ health insurance. What do you if your Health Insurance is declined.